Female Personal Trainer Motivating Young Man With Battle Ropes.. Stock Photo, Picture And Royalty Free Image. Image 71345145. 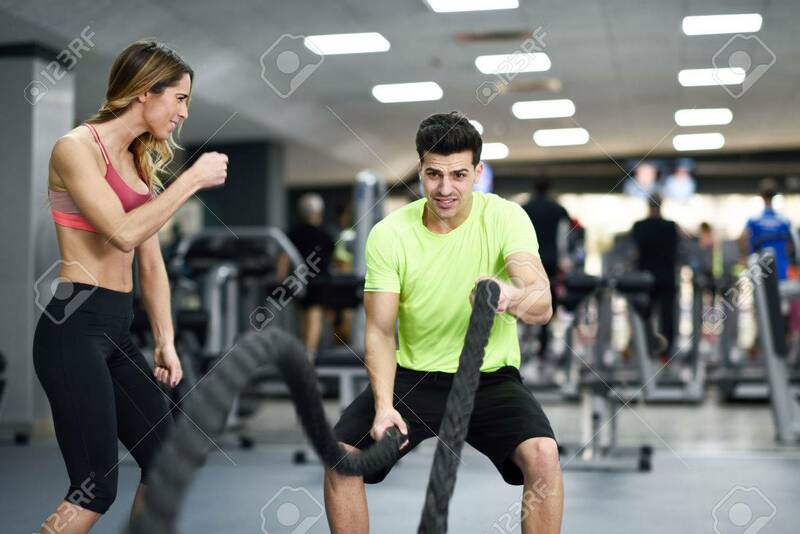 Stock Photo - Female personal trainer motivating young man with battle ropes exercise in the fitness gym. Female personal trainer motivating young man with battle ropes exercise in the fitness gym.